The best instant coffee is? Well, best instant coffee might offend some coffee lovers -how can instant coffee be good? So, to put everything into the proper perspective, I just have to share with all that that bulk of the R&D investment in coffee industry is actually in instant coffee. Roast and Ground coffee as the name suggest requires much manual work and skill to get the right roast on the coffee beans, do the right grind and then prepare the brew correctly to have a good coffee. But for a cup of instant coffee, all you need to do is to pour in some hot water and you would get your cuppa. And every sachets that is tear and brew has the same quality, and as more money poured into developing instant coffee, some consumers reported an almost similar "feel" to roast and ground coffee, something like a instant coffee gourmet. 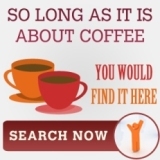 Feels like shopping for some instant coffee , check out the link for more information. 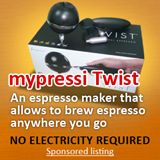 3 steps is all you need to enjoy this coffee -insert the pod, press a button, drink the coffee. It is that simple. The coffee is not freezed dried but real coffee grounds! I understand that some of the coffee lovers would never consider instant coffee to be good brew (these are just coffee substitute), but are you not a little curious that amongst so many of them, which is the best instant coffee? 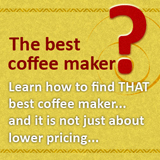 Most of us are familiar with coffee maker ratings where the best coffee maker are awarded stars and comments on how good they are. And usually, the results are the same amongst many sites. Unfortunately, there is no such reviews or ratings for the best instant coffee, almost every country has their own brand of instant coffee. Take North America for instant, you would never see coffee Nescafe as a big brand, you are more likely to be drinking Taster's choice. For your information, both of them belongs to the same company -Nestle, but marketed differently. Anyway, because of the various reasons, the search the best brand of instant coffee is done this way. I first look for the top coffee roasters that produces instant coffee. If they are big then they must be popular right? 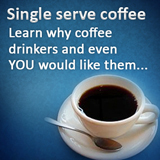 Then, I check out an established coffee reviews to see how many products of each company is being represented. The one that has the most has to be the best. currently, the top 3 coffee roaster in the world are Nescafe by Nestle, followed by Maxwell House by Kraft then Douwe Egberts by Sara Lee. 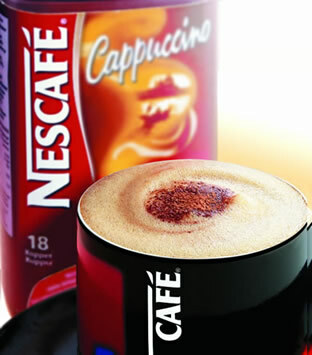 By this alone, we know that Nescafe is pretty popular. Few other popular ones would be gold roast coffee and capparoma coffee. Next, I look at Ciao shopping intelligence which has their own version of best instant coffee, and true enough, Nescafe has the top spot. And not only that, out of the top 10 positions, it has 5 positions. While some of you might say this is due to the marketing poweress of Nestle, but no matter how the arguements goes, you cannot deny that consumers are buying it, if not, how can these coffee suppliers be producing so much coffee right? So, using my own rating system, my take is if you are going to try instant coffee, and want to know which is the best instant coffee, it would be Nescafe.